Notre Dame de la Paix, Our Lady of Peace was established in 1864 amid the difficulties of Civil War and Federal occupation. The community of Vacherie, predominately Acadian French and German settlers and their descendants had previously attended Mass at St. James Church or in a community grocery store. By 1854, land was purchased to build a church and cemetery. By 1856, wealthy sugar planter Valcour Aime donated money for a chapel bell, and the first baptisms were recorded. Despite adversity, the Catholic population grew, and the parish thrived. The first pastor of Vacherie was Father A. Duval, who served only a short time. He was replaced in 1865 by Father J. M. Ravoire. In 1868, Archbishop Odin granted permission for the construction of a new church. By 1890, it was evident that the congregation required a larger church. Annual parish fairs were held to help raise money enabling construction to begin in 1893. The magnificent, cross-shaped church was completed around 1901 and was consecrated by then Bishop of Puerto Rico James H. Blenk, who served in place of Archbishop Chapelle. Time and neglect harmed the fine old church building but, beginning in 1949, repair work, including painting, a new floor slab, new pews, new confessionals and new stained glass windows, had begun. In 1954, a statue of Our Lady of Peace was donated by the Francois Sevin family and placed in the niche outside the front of the church. 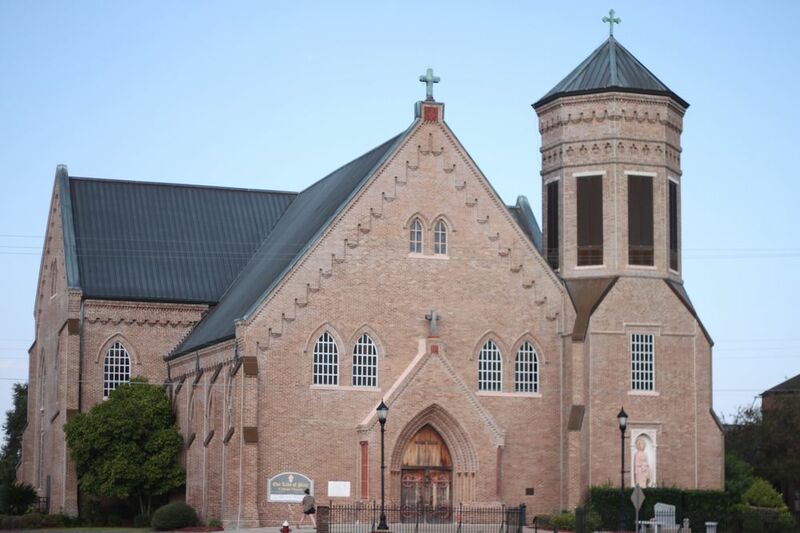 Today Our Lady of Peace Parish is a vibrant community, centered on the Holy Eucharist, the members of which are sincerely committed to the building up of God&apos;s kingdom. Having withstood the changes and modernizations of many generations and pastors, the historical church structure stands as a tribute to the people of the parish who labored intensely and tirelessly to establish a home of praise and worship for family members and friends.